Salicylix (Salicylic Acid) is a topical medication used to remove acne and skin issues. It has an ingredient that removes dead skin, whiteheads, and excess oils. Unlike other creams, Salicylix is not just designed to remove acne. This treatment can do more. Your skin will never get clogged up when you use this cream. It keeps your skin fresh the whole day. Your face will gain automatic glow that you don’t need to apply any fairness cream. Salicylix has a keratolytic agent that is responsible for peel off. In general, it works in removing the dead cells on your face. You can buy Salicylic Acid here. Why buy Salicylix (Salicylic Acid) for Acne? Salicylix cream has several skin treatments. It’s one of the most important treatments for acne on oily skin. There is an advantage in using this product over other acne treatment cream. Salicylix has an active ingredient that can stimulate circulation of oil out of the pores. It can produce better skin color as long as its active ingredient has the right concentration. This cream is handy and ready to go. You can use this anytime, anywhere. How does Salicylix (Salicylic Acid) works? Salicylix contains salicylic acid as an active ingredient. The keratolytic agent and comedolytic ingredient work together by peeling the skin. The keratolytic agent is responsible to soften the keratin. It works to improve moisture and treatment for dry skin. The comedolytic agent works for the destruction of pore blockage. It will leave your skin smooth, acne and blemish free. How to use Salicylix (Salicylic Acid)? Before using this treatment, apply a small amount on the affected areas. Observe any reaction for 3 days. If there’s no discomfort occurs, follow the direction stated on the label. Apply the cream to affected areas and rub gently. Do not use this product more or often. Do not use this for a long time. Use it only as directed by your doctor. Keep the medicine away from your eyes, nose, and mouth. What are the side effects of Salicylix (Salicylic Acid)? This treatment may cause some unwanted side effects such as skin irritation. Other side effects include short breathing, redness of the skin, and fainting. Before using this cream consult first your doctor. Call for help if you’re experiencing stomach pain, diarrhea, and vomiting. That can be a result of an overdose. Consult your doctor when using it on open wounds, irritated, or sunburned skin. Clean and dry the areas to be treated. Wash your hands before and after applying the cream. Do not wash the treated area after applying the cream. Avoid using other products on the treated areas. Unless your doctor said so. If allergy occurs, discontinue use. Avoid getting contact with this medicine into your eyes, nose, and mouth. 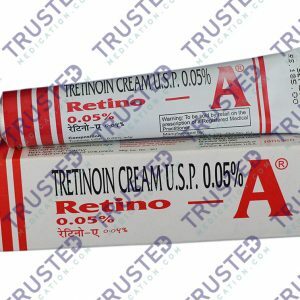 Retino-A Cream 0.025% (Tretinoin) is one of the most prescribed medications for severe acne problems. Retino-A cream has an active ingredient that effectively treats severe acne problem. It belongs to a group of medication known as retinoids. You can buy Tretinoin here. 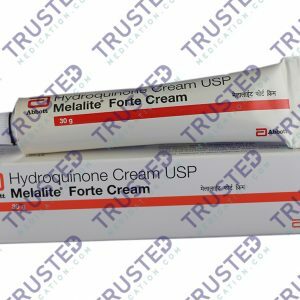 Melalite Forte cream is a topical preparation which can speed up the lightening of acne scars. It contains an ingredient that can reduce dark spot, freckles and other skin discoloration making your skin tone even. Although there are effective treatments available against pimples, sometimes they leave enraging dark spots. Melalite Forte cream can minimize your acne scars by making your skin tone even. Its active ingredient is designed to instantly whiten dark spots on the skin. Persol Gel (Anhydrous Benzoyl Peroxide) is a topical preparation used for acne. It is an antibacterial treatment for mild to moderate acne. It has an ingredient that decreases the blackheads formation. The gel washes all the dirt and oils from your skin surfaces. It helps to renew your skin faster. Persol gel reduces the skin inflammation and swelling. It heals your pimple quickly. Anhydrous Benzoyl Peroxide is an active ingredient of this product. It works to stop the building of the bacteria which can lead to the formation of acne. You can buy this here! 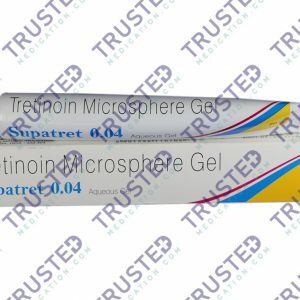 Supatret (Tretinoin Gel Microsphere) is a topical medication used in treating severe acne. It has an ingredient that can replace the cells of existing pimples. It prevents the cells to form new pimples. There are many treatments available for treating acne but this treatment aims to remove the blemishes on your face. It lightens your dark spots and fine lines. Supatret effectively reduces acne. It lessens the chance of pimples to develop. The active ingredient works for removing and lightening of your dark spots. You can buy Tretinoin Gel Microsphere here.